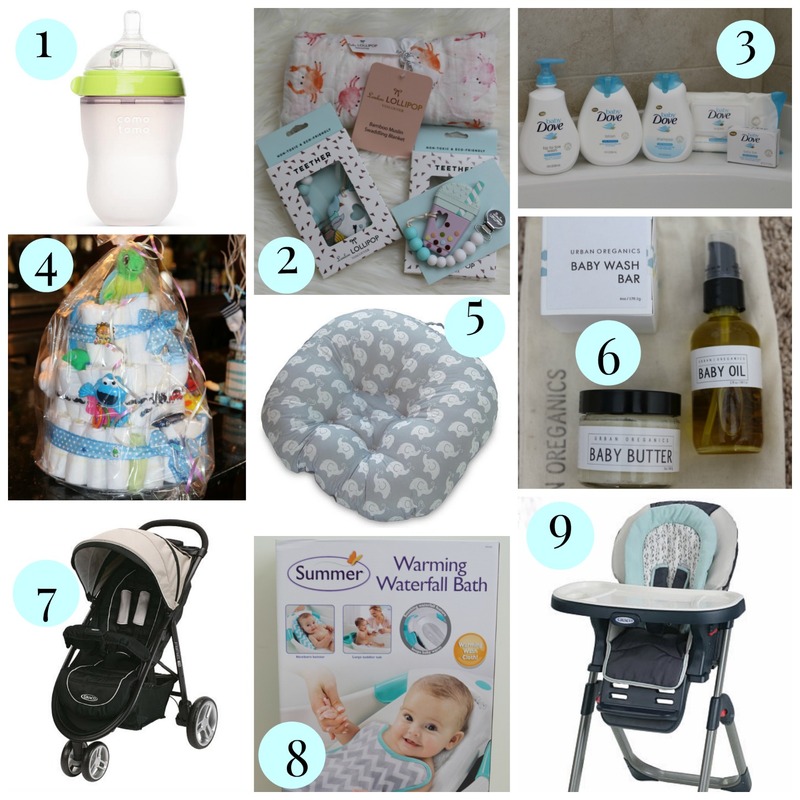 Baby Shower Gift Guide + Giveaway! 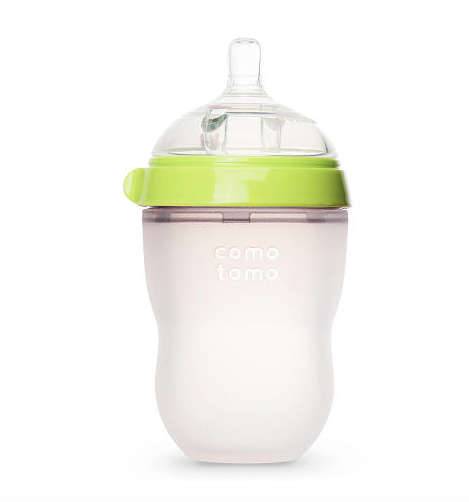 1) Comotomo Natural Feeding Baby Bottle This bottle is currently being called the best bottle to transition your baby from the breast! All materials used are non-toxic and allergen free, making them safe to boot. 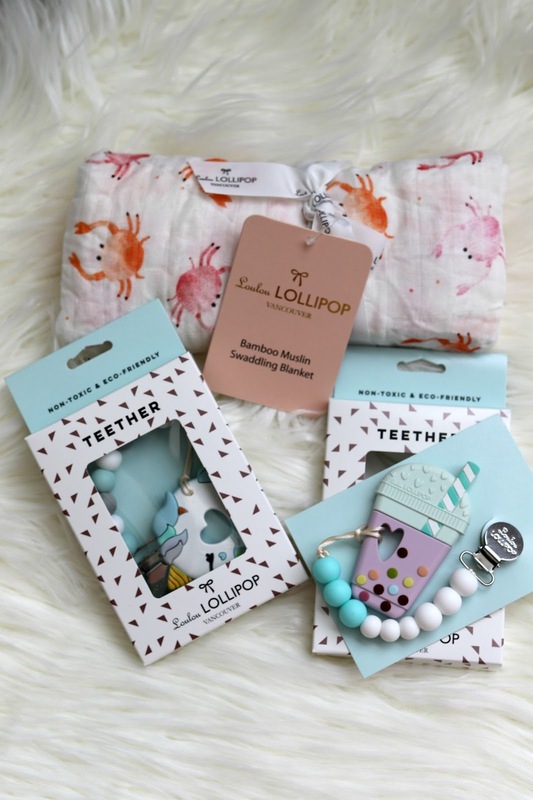 2) c/o Loulou Lollipop: Silicone Teether & Bamboo Swaddle Loulou Lollipop products are top notch when it comes to quality. 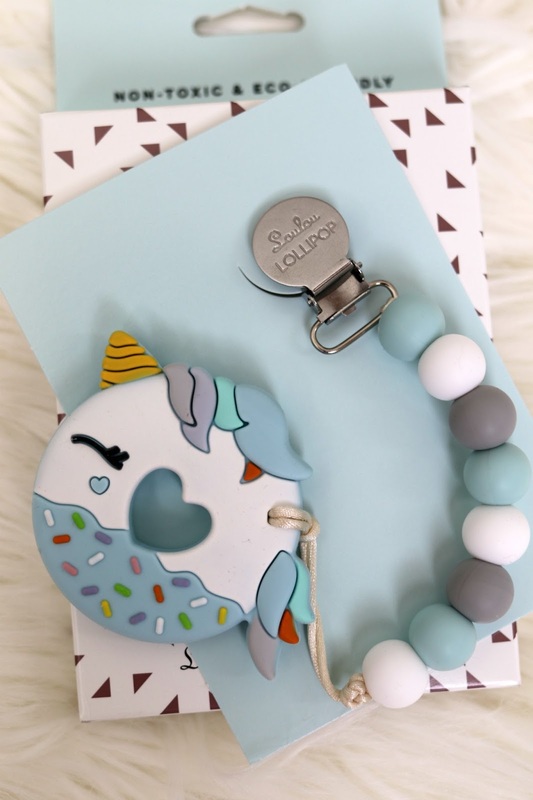 The silicone teether is BPA, lead, cadmium, & pathalates free, and you can take the teether off and turn it into a pacifier holder. That is a 2 in 1 parents can get behind. 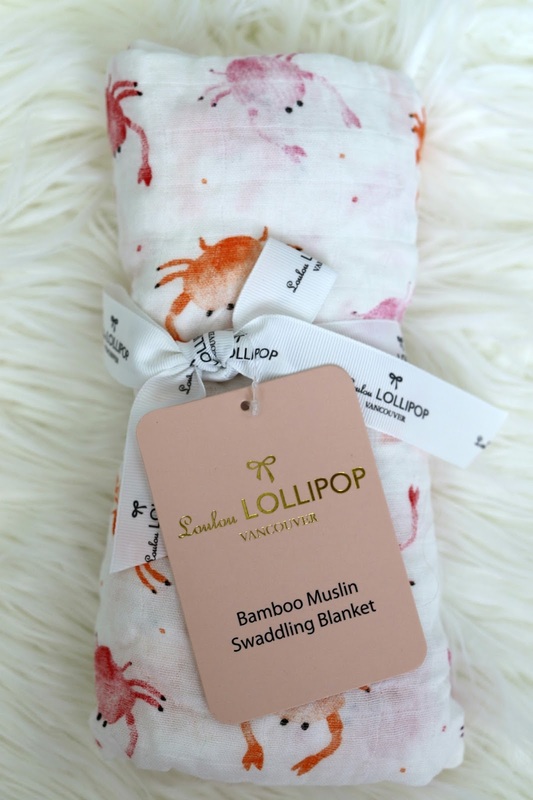 Their bamboo swaddle blanket is soft, durable, and can we talk about how cute the prints are? LOVE! 3) c/o Baby Dove: Tip to Toe Wash, Lotion, Shampoo, Baby Bar, & Wipes Dove recently came out with this new baby rich moisture line. 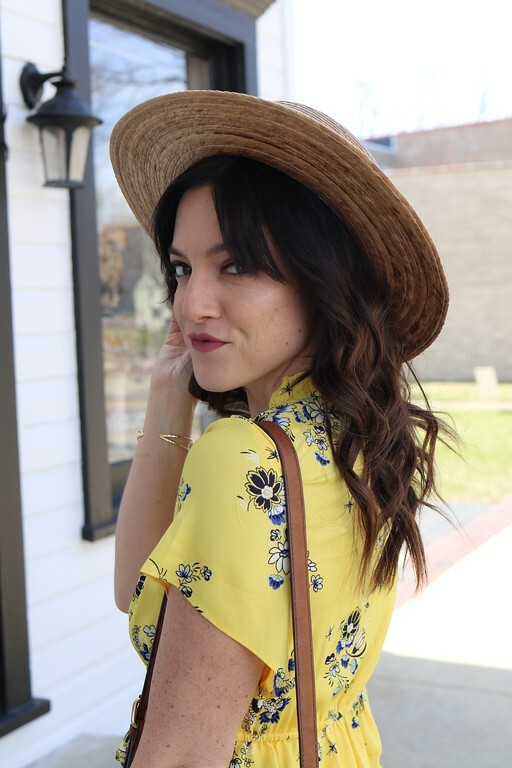 All of these products are dermatologist and pediatrician tested, and the ones made for hair are also ophthalmologist tested so you can feel good using them. This line is for babies with normal to dry skin and "goes beyond mildness to actively replenish lost mositure and nutrients into baby's skin. All products are hypoallergenic and mild with fragrance specifically developed for delicate baby skin." Plus this a brand we all know all love! 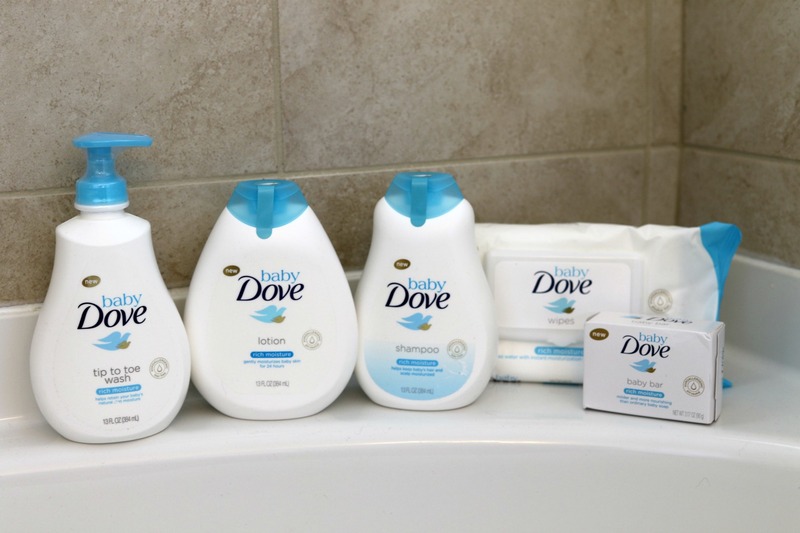 Stick around to the end of the post, Dove is giving some products to a lucky winner! 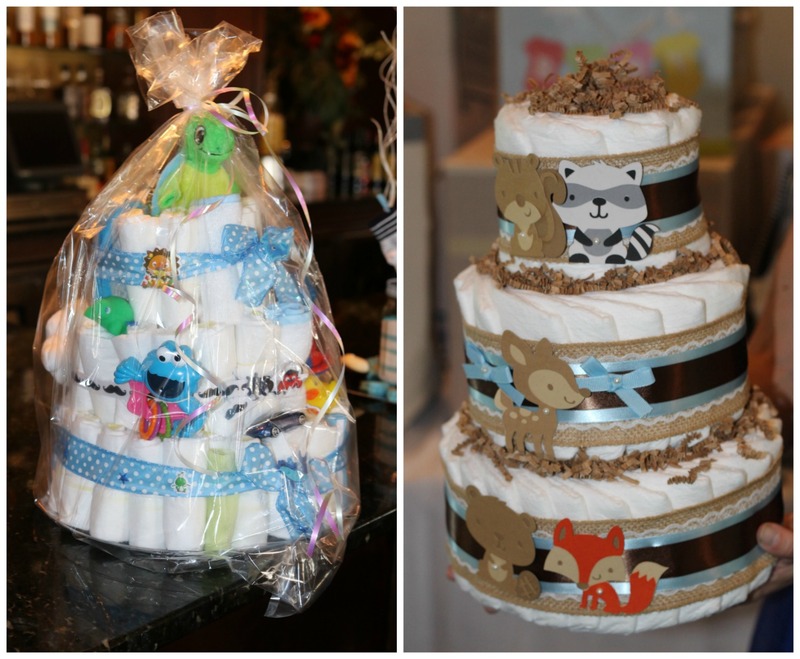 4) Diaper Cake The classic gift, right? These are adorable and the parents can use them as baby room decor until they use them. ;) I have linked a few above as they have tons for sale already assembled (if you don't find yourself to be that crafty). I know I would rather purchase one of these beauties then try to create one. 5) Boppy Newborn Lounger OK, we've all seen and most likely used a boppy pillow in our day, but now they have kicked it up a notch. 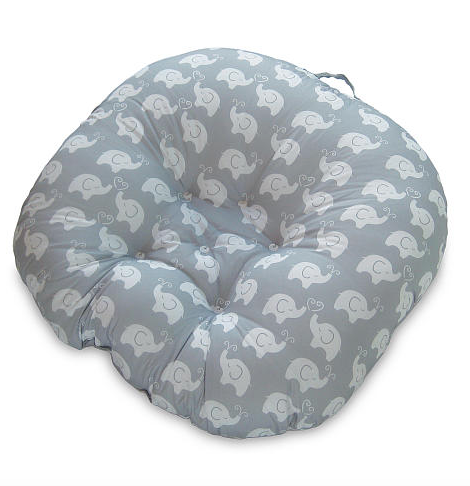 The boppy lounger is the perfect place for your little one to chill and stay put. It also allows for the parents to interact with their baby, hands free! Plus the designs are super cute. 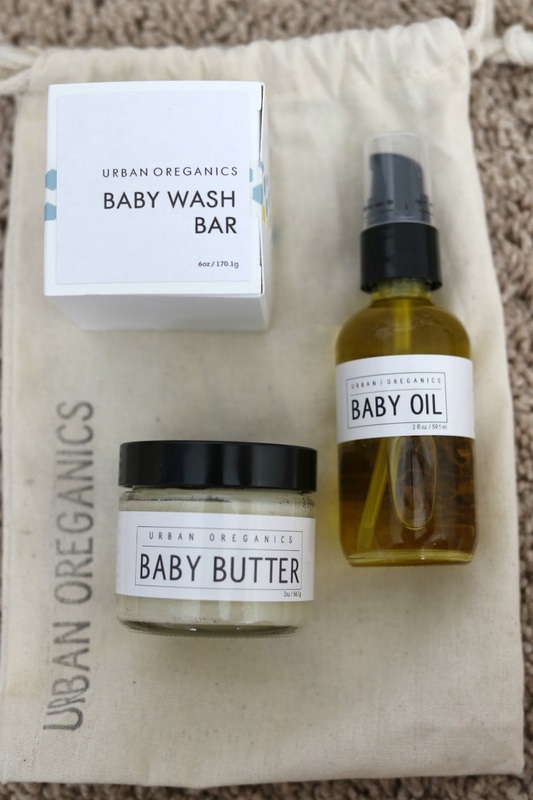 6) Urban Oreganics: Baby oil, Baby Butter, Baby Wash Bar All ingredients are 100% natural & vegan. 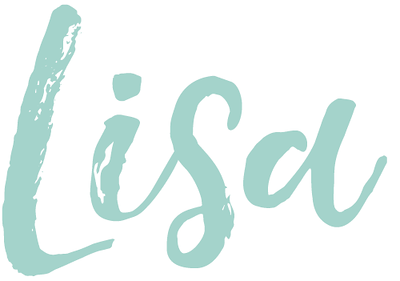 I am such a fan of this line in general, they have great product for babies, moms, and kids alike! It's definitely a brand I can get behind and promote as I shop it myself quite often. 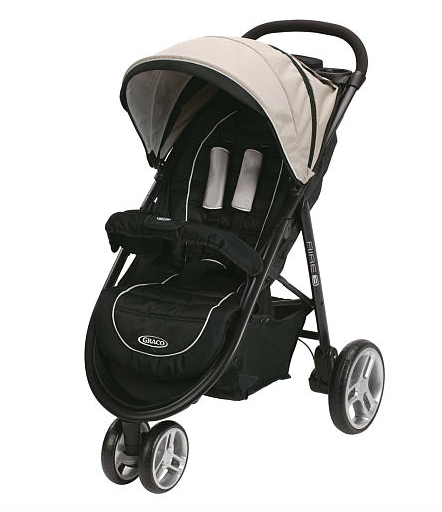 7) Graco AIRE 3 I love this stroller! My nephew has it, and on our most recent trip to the zoo, I got to see just how amazing it really was. It is very easy to push, even in rough terrane, plus it easily folds in half and is very light weight. I believe the ad says it is a one hand fold in one second...they are not kidding, it's just that easy! I also got my hands on it again this past weekend for a pool party. I was pushing my nephew around and again, just loved how easy it was to navigate around in. My sister also loves it and used it with her car seat, and now with out. 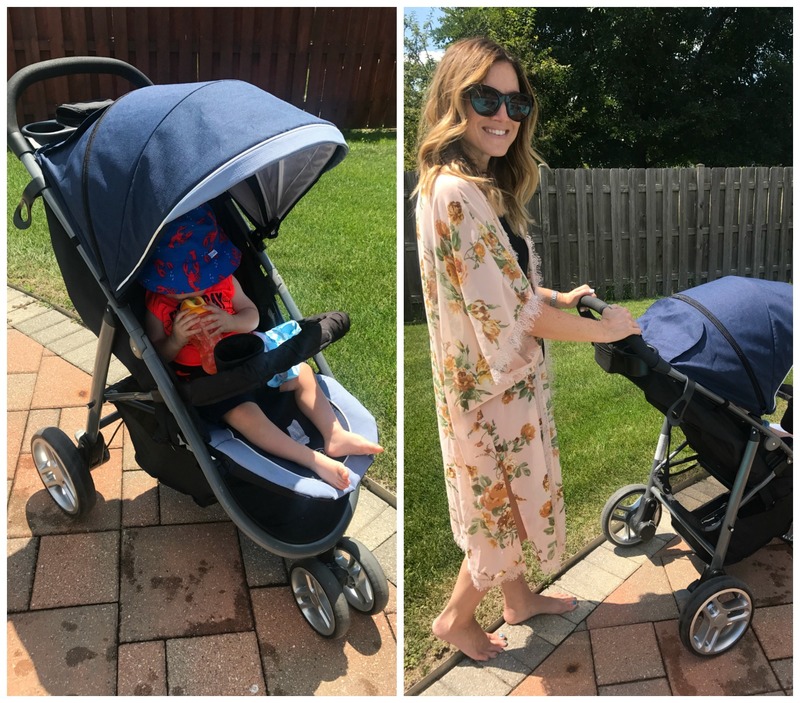 It's a stroller made to grow with your child and that is a must as far as I am concerned. 8) Summer Warming Waterfall Bath The Warming Waterfall Bath is the perfect tub for your sweet baby. 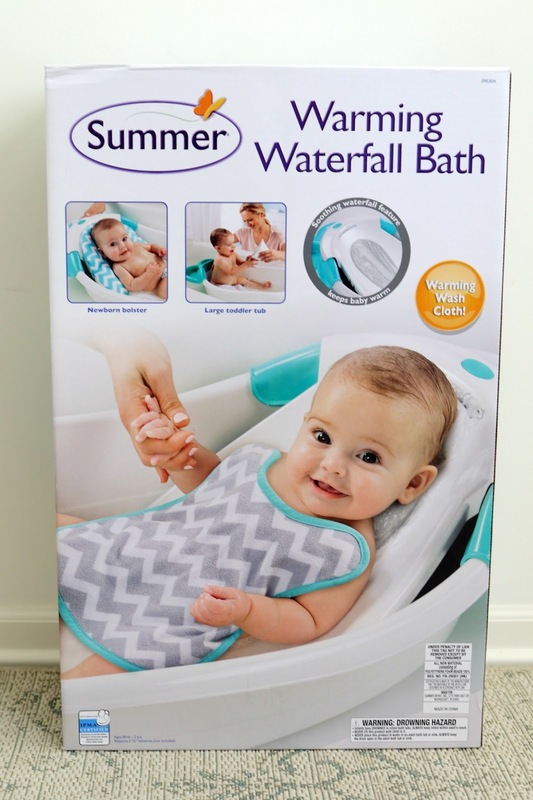 It provides a calm, soothing bathing experience with a gentle waterfall that circulates water to help clean your little one, while keeping baby's back warm and comfortable. 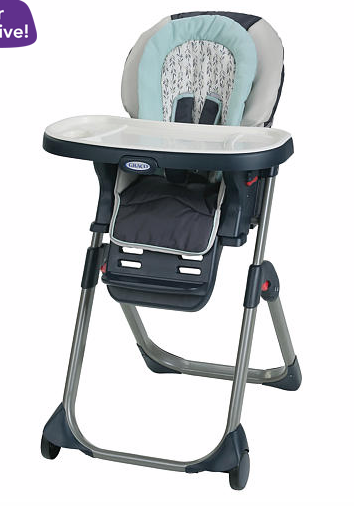 9) Graco Dio Diner LX Groove Plastic Highchair Keep your child cozy with this Graco Duo Diner highchair. This chair adjusts in size as your child goes from infant to toddler, giving it a long-lasting period of use.